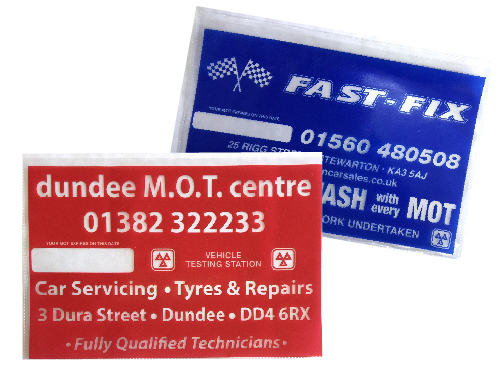 MOT Wallets are a must for the Motor Trade. 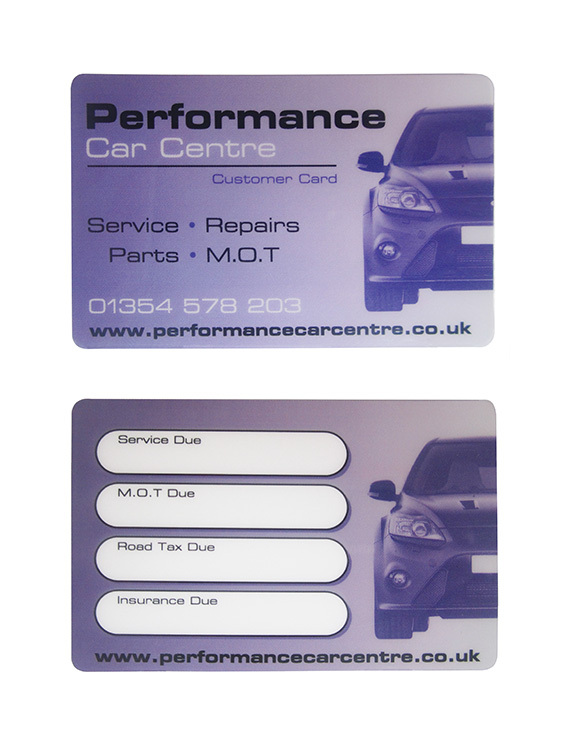 Keep your details close to your customers so they know who to ring for their next MOT. 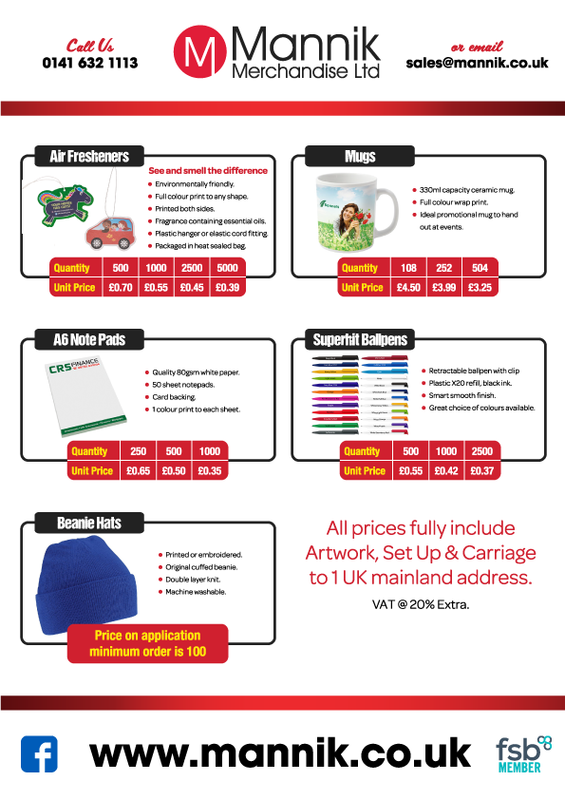 These are sure to be kept and used by your customers, and will be a welcome way to keep their MOT certificate safe until next year. Perfect for garages and MOT specialists, you can look even more professional when you use this to issue your MOT certificates to your customers. Our customers return year after year for their printed wallets, providing confirmation that these products are essential for maintaining their brand and ensuring their customers also return each year! 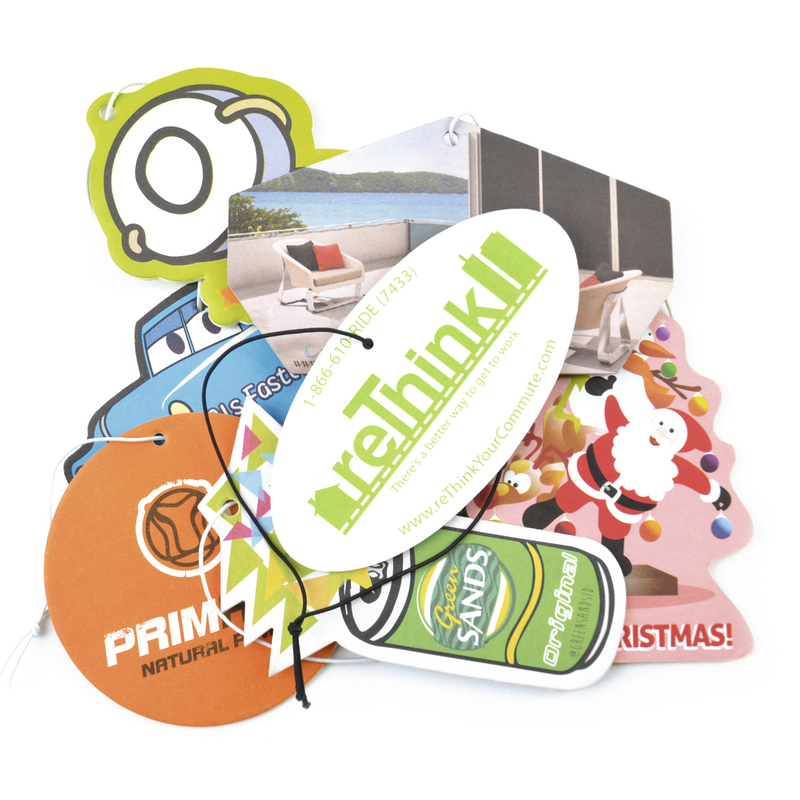 Clear Acrylic Key Rings – Printed onto paper inserts, single or double sided – and ready for insertion complete with locking backs to secure your message or identification message. Available assembled or unassembled. Leather fobs – manufactured from ‘real leather’ or sub leather, but in a variety of options to suit all budget requirements. A wide variety of shapes available including: square shape, oblong, pear shape, including a range standard shaped and miscellaneous shapes. Leather key fobs are also available with a domed metal badge or medallion options. Ensure your customers never miss another service. 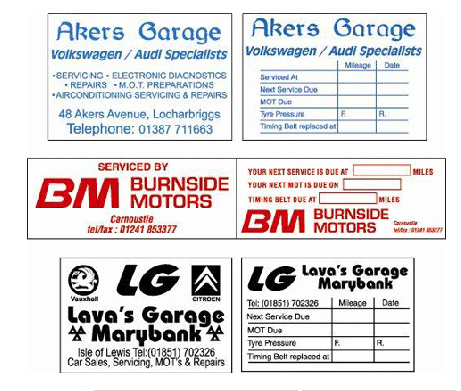 Personalised car service reminder stickers are available in many different sizes with the option of single or double sided print. These Number Plate Stickers are a great way for motor traders, clubs and associations to personalise vehicle registration plates, or number plates, with their own brand or message. Rather than replace a competitor number plate with your own expensive one, simply over-sticker their logo with yours!!! One set comprises of a front and rear, so if 500 stickers are ordered, you receive 250 White and 250 Yellow ones. Remember, if your artwork fits – we’ll print it on there for you. 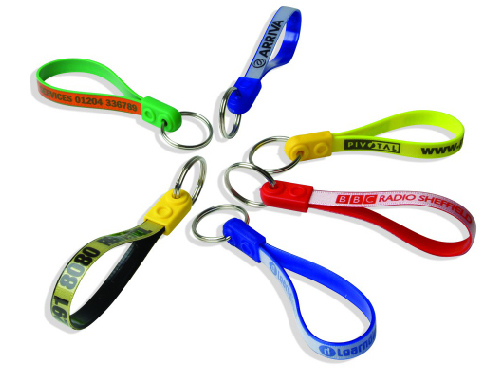 Plastic card keyrings have become really popular in recent years for all industry types. They’re fully waterproof, extremely hard wearing and fully customisable. We can add logos, signature strips, numbering, barcodes .. you name it! 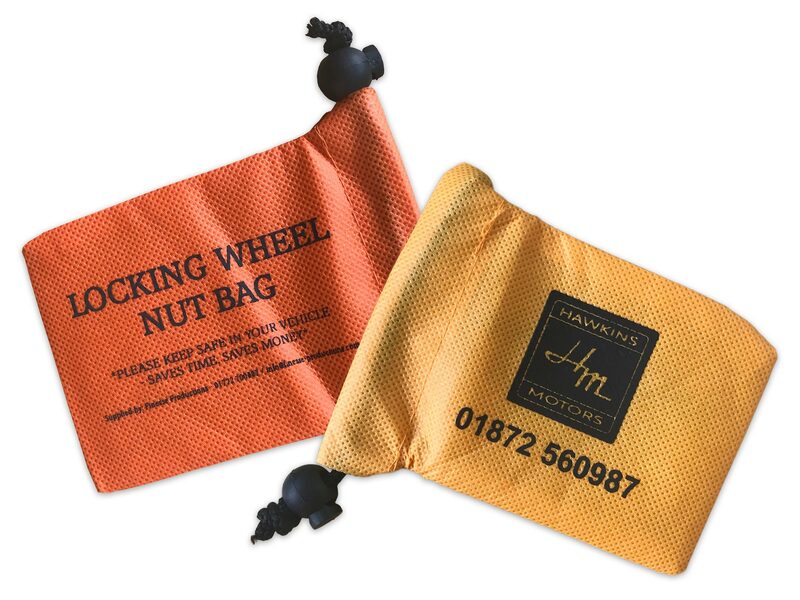 Best of all in large quantities they’re an extremely cost effective way of getting your message into the hands of your loyal customers! Non-Woven Pouch with Drawstring Toggle. 40 colours to choose from and choice of colours for the Toggle. Material: 80gsm Non Woven Polypropylene Size: 7 x 11cm Colours: 40 Stock Colours to Choose from Attachment: Drawstring with Toggle Print: Spot Colour on Both Sides Sides: 2 (Second Side Print FREE) Print Spec: Heat Transfer Printed Approx Area 300 x 300mm Packing: Bulk Packed Lead Time: 3 – 4 Weeks from Artwork Approval!